With good chunks of Africa once being French colonies it's no wonder that France, specifically Paris, has become a Mecca for Francophone Africans looking to establish a singing career. From countries like Senegal, Algeria, and the Cameroon come performers who bring their own countries unique sounds to combine with the musical traditions of France and other Western countries. The newest arrival to North American shores via the Africa France link is originally from Douala-Cameroon. He was only fifteen when he moved to France to begin his quest to become a professional musician. At the same time he also attended school and as well as honing his musical skills he received a doctorate from the Sorbonne. He first caught the music industry's attention when he and his brother Bobby formed the band Class. They were signed to a French label and produced an album that was heavily promoted. He received international attention when Jon Anderson , lead singer of Yes, approached him about working together. In 1998 Francis and Jon Anderson formed the band Know and released the disc The More You Know. It would be easy to say Francis Jocky is an R&B /Soul musician and not lie, but it wouldn't draw a complete picture of the man's abilities or his scope as a musician. For sake of comparison the first two artists that sprang to mind as I listened to Mr. Pain were Joan Armatrading and Nina Simone . As I listened further I realized those similarities resulted from the fact they all approach their music in the same manner. This is very much heart on the sleeve stuff, but not in the sentimental and saccharine style that prevails in pop music today. This is real and heartfelt stuff, whether he's talking about the state of the world or interpersonal relationships. What separates him from the general pool of pop music schlock is his ability to avoid cliché in his lyrics and integrate more than just the regular pop arrangements into his songs. He uses simplicity of lyric and repetition to emphasis a point rather than melodramatically emoting in a vocal range well beyond comfort for himself and his listener. On the song "Tell Me Why ", which questions the values of people who would let children starve to death while they seek personal fortunes, the lines "Tell me why, tell me why, tell me why" are followed by "must they cry, must they cry, must they cry." The way they are sung elevates them beyond their simple appearance on paper and pulls the listener into the depths of the questioner's despair and frustration. Of course the major reason those lyrics work so well is the central feature of Mr Jocky's arsenal as a performer; his voice. Highly trained, with superb control, he can change his vocal expression with the ease that most other performers change costumes. From soft as velvet expressions of love, pleas for understanding, to declamations of intent he is equally comfortable. Musically he diverges from the norm with his near jazz like arrangements that allow for a far greater range of expression than what is considered Soul or Rhythm and Blues these days. Instead of either mellow funk or electro-orchestrated melodrama his music has real emotional body. Electronics are utilized but as augmentation and accentuation to what has been created by the band. Francis himself is a gifted keyboard player, having started playing piano when he was twelve, so his own contributions extend beyond just being the vocalist in the band. On various tracks he can be found playing percussion, keyboards, guitar, and drums. Being a multitalented instrumentalist obviously is an asset for him when he is composing his songs. Their musical complexity reflects his understanding of how he can utilize various instruments to achieve the effects he desires. For those of you who are used to performers like Baaba Maal and other African musicians the music of Francis Jocky may come as a surprise, but consider he has been living and working in Europe since he was fifteen, and with Western influenced musicians for the entirety of his professional career. 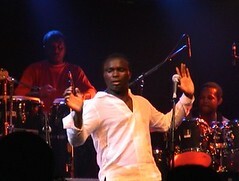 His African heritage can be heard in some of the percussion techniques utilized on songs, and some of his vocal styling. Quite frankly though that shouldn't be a factor in your decision making process about whether to buy this CD anyway. Music isn't judged on the performer's adherence to our preconceived notions of what people should or shouldn't sound like. 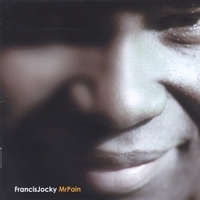 Francis Jocky plays a brilliant mixture of Soul, Rhythm and Blues, and Jazz with skill and emotional honesty. Those qualities are rare enough in popular music they should be celebrated and encouraged whenever they are encountered. Mr Pain by Francis Jocky is just such a find. As of now the disc is available through his web site, CD Baby, My Space and iTunes . You can either download the disc or order a hard copy. 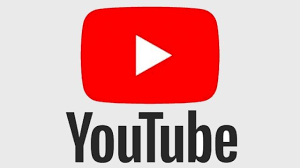 My own personal recommendation for a song as a download that will give you an indication of his abilities would either be "Song of freedom " or "Down Slow ." Listen to them both and you will begin to see the true breadth of talent that is contained within Francis Jocky.